This weekly meal plan features delicious clean-eating recipes packed with nutrient-rich foods for 7 days of healthy dinners. This 7-day clean-eating dinner plan follows the simple principles of clean eating, which is all about incorporating more whole foods and less of the processed stuff. This means upping your intake of colorful fruits and vegetables, whole grains, lean proteins and healthy fats while limiting refined grains, salt and added sugars. When it tastes as good as the recipes in this meal plan, eating clean is a no-brainer. 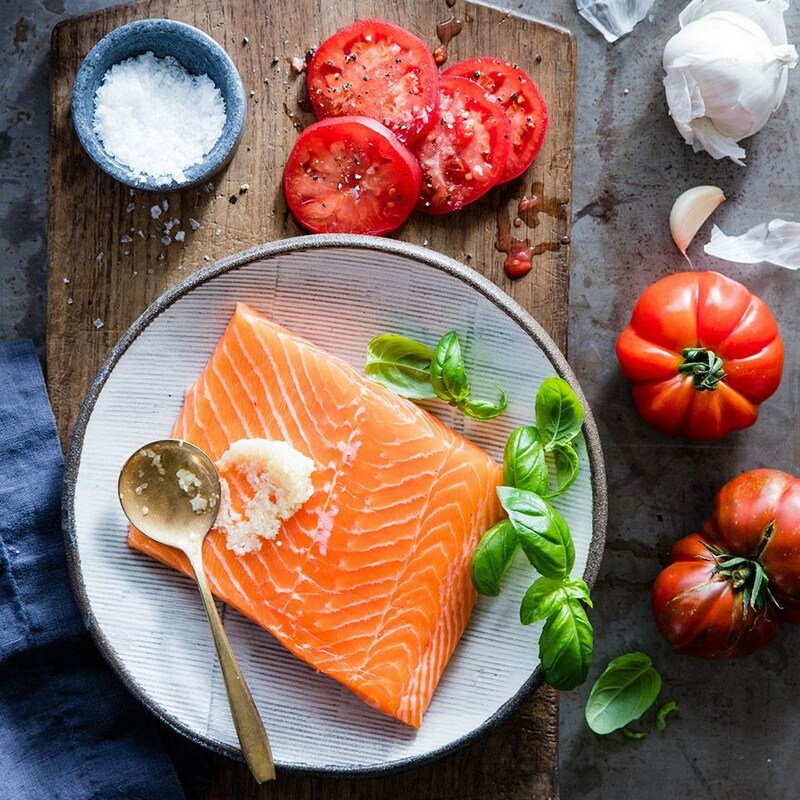 Grilled Salmon with Tomato & Basil: This recipe is so beautiful and yet so simple to prepare—it's perfect for entertaining. You just spread a side of salmon with minced garlic, sprinkle with fresh basil, then layer sliced tomatoes on top. Put it on the grill for 10 minutes and you're done! 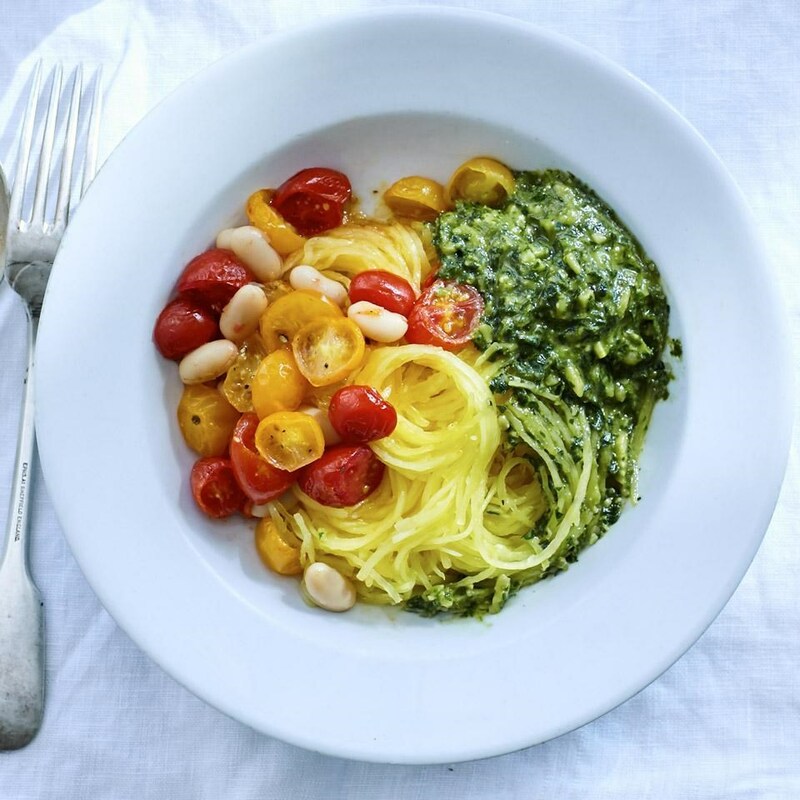 Spaghetti Squash with Roasted Tomatoes, Beans & Almond Pesto: Looking at a tangle of spaghetti squash tricks your brain into thinking you're about to eat a serving of eggy noodles, when in fact, you get a nice calorie and carb savings in this healthy recipe. Giving tomatoes a stint in a hot oven makes them candy-sweet. 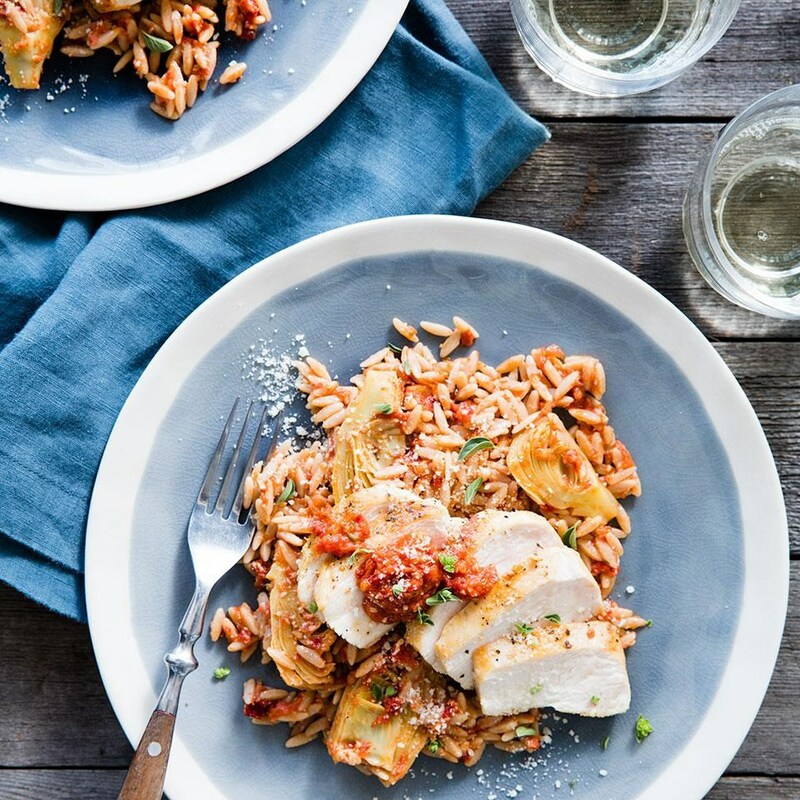 Chicken & Sun-Dried Tomato Orzo: Sun-dried tomatoes and Romano cheese pack a flavorful punch along with the tantalizing aroma of fresh marjoram in this rustic Italian-inspired dish. Serve with sautéed fresh spinach or steamed broccolini. 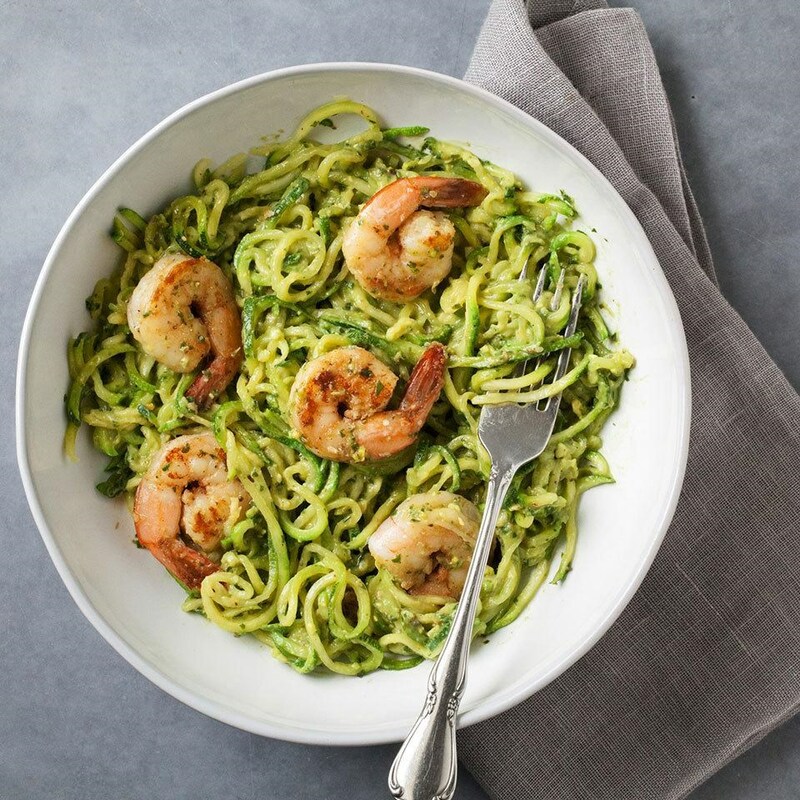 Zucchini Noodles with Avocado Pesto: Cut some carbs and add an extra serving of veggies and use spiralized zucchini in place of noodles in this zesty pesto pasta dish recipe. Top with Cajun-seasoned shrimp to complete this quick and easy dinner. 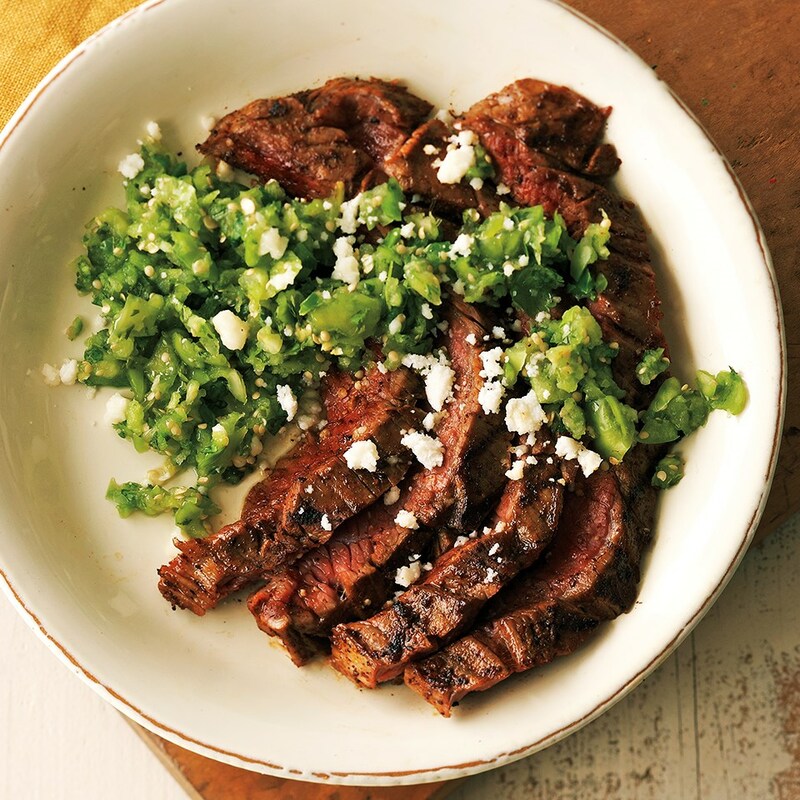 Southwest Flank Steak with Fresh Tomatillo Salsa: Tart, fruity tomatillos make a delicious salsa that complements this Southwestern-inspired flank steak. Serve with the Mexican Cauliflower Rice to round out the meal. 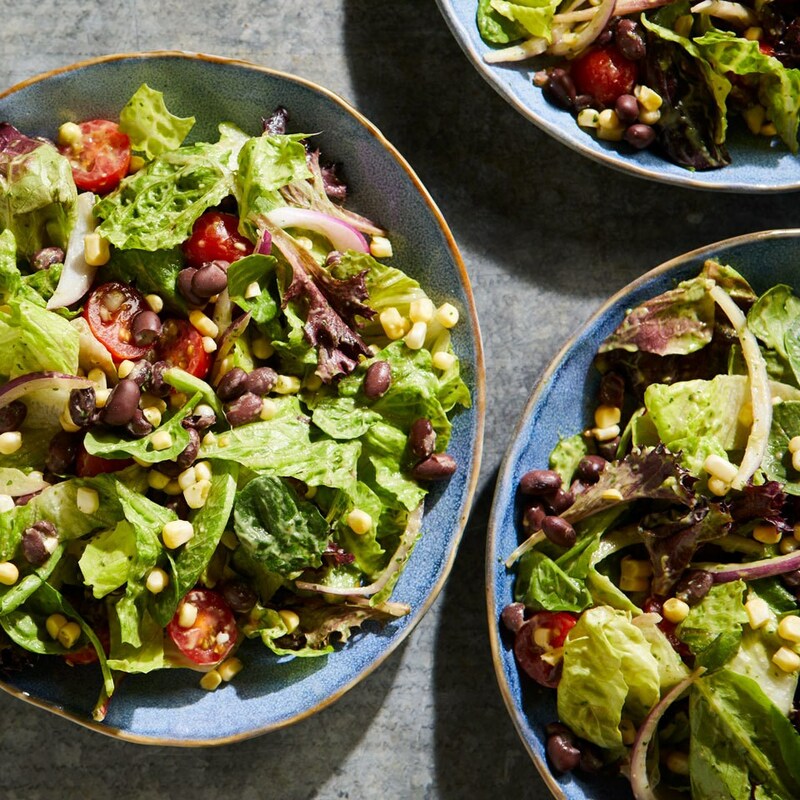 No-Cook Black Bean Salad: A classic black bean salad is a must for picnics and potlucks. This vegan version gets its creaminess from blended avocado. Any mix of salad greens will work well, but try arugula if you want to give this hearty salad a peppery kick. 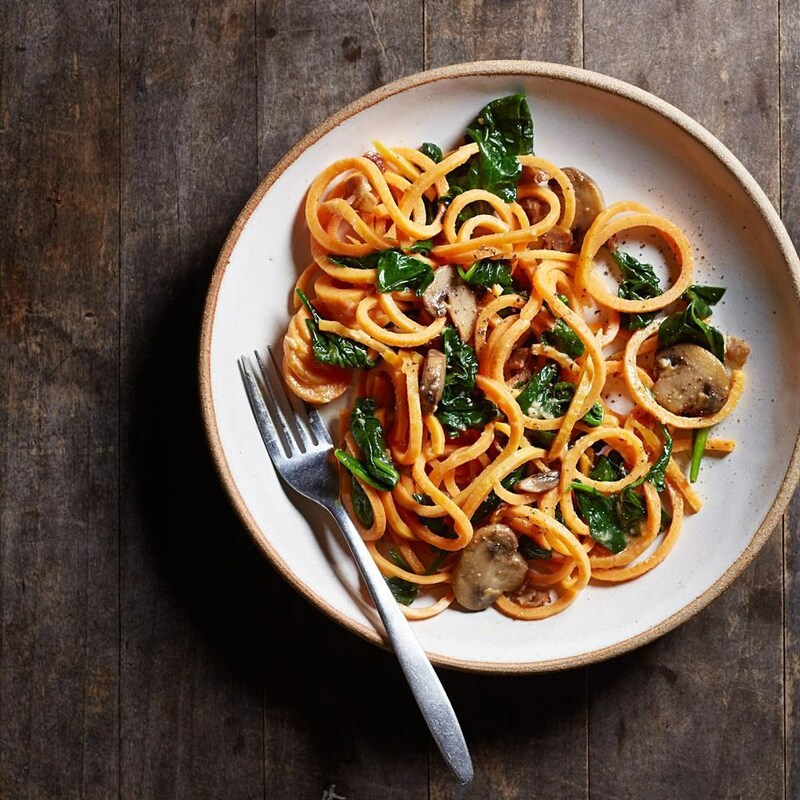 Sweet Potato Carbonara with Spinach & Mushrooms: Loaded with veggies, this spiralized sweet potato vegetable noodles recipe—our healthy take on a traditional carbonara recipe—achieves superfood status with the addition of spinach and mushrooms. Look for large, straight sweet potatoes to make the longest veggie noodles.